American armed forces are tasked with defending our country in the air, on land and at sea no matter how challenging the environment. 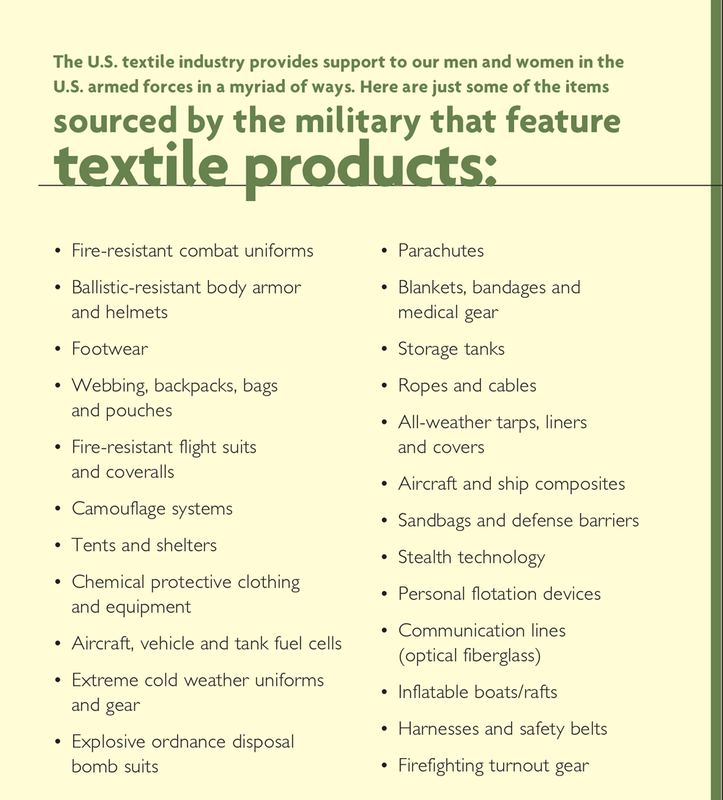 Because of the unique and global nature of this mission, the Department of Defense (DOD) must buy an estimated 8,000 different U.S.-made textile products annually to satisfy its various operational needs. When different sizes are factored into the item mix, there are some 31,000 line items sourced from the textile industry by the military each year. Fortunately for America, manufacturers like Newark, Delaware-based W.L. Gore & Associates Inc. (Gore) and New Bedford, Massachusetts-based Brittany Global Technologies (Brittany) are up to the job of helping to make textile-based defense products that are the most technically advanced in the world. Famous for its GORE-TEX®-branded consumer products, Gore also is a high-level innovator that manufactures military textiles, including those used in protective gear. Jason Rodriguez, marketing communications manager, Military Fabrics, W.L. Gore, notes that the environment and a warfighters protection and comfort in that environment are of prime importance to Gore as the company conducts research and development on innovative fabrics for the armed forces. Gore was founded in 1958 by Wilbert “Bill” Lee Gore and his wife Genevieve Walton Gore, initially serving the electronics market. In 1969 when Wilbert’s son Robert “Bob” Gore discovered expanded polytetrafluoroethylene (ePTFE), the company launched GORE-TEX and went on to become a leader in fluoropolymer technologies that apply to many different industries. The first GORE-TEX customer used the fabric in a tent application. 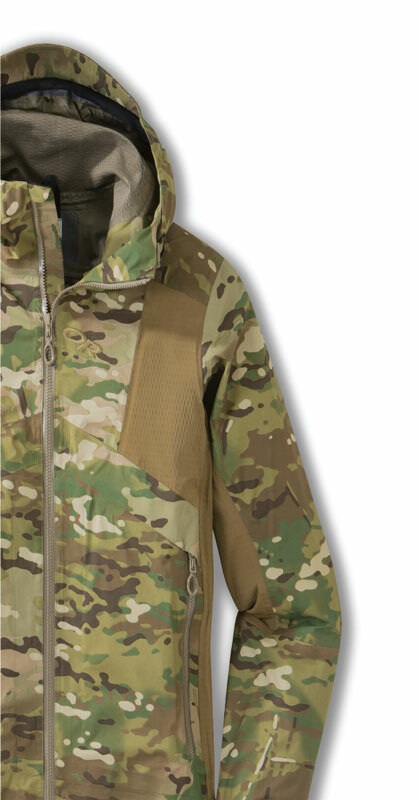 Some of Gore’s latest protective technologies for military applications include GORE® CHEMPAK® fabrics— used for chembio uniform applications that feature a stretch technology — and GORE® Katana fabric — a blend of ePTFE, nylon and cotton fibers specifically engineered for hot weather and tropical operations. According to Gore, uniform-specific fabrics optimize air-permeability, dry time and strength-to-weight ratio and can exhibit no melt or drip during flash-fire incidents. “In addition to having a rain chamber and various testing labs, Gore recently invested in a state-of-the-art heat and flame lab and comfort chamber,” said Donald C. Vavala, director, Military Government Affairs, Gore. “The heat and flame lab can simulate various test methods traditionally conducted by a third party. The comfort chamber was designed to replicate climates from across the world. Gore keeps investing in assets to ensure we can continue to provide great products now for the warfighter, but also meet the future needs of the warfighter. 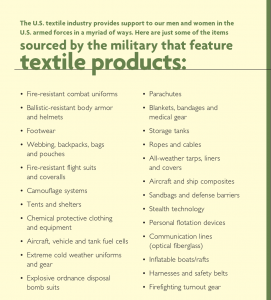 Once a high-tech fabric is specified by the military, it must then be fine-tuned with camouflage and other special protective technologies to maximize its effectiveness for warfighters in the field. Brittany Global Technologies specializes in adding these enhancements through dyeing, printing and finishing. Dyeing and printing are the two most common processing methods to color textiles. While dyeing produces only one color, printing is a more complex process whereby various colored designs are imparted on a fabric surface. Finishing refers to subsequent processes that turn a dyed or printed textile into a more useable product by improving its look, performance and feel. Brittany maintains a government certified lab with all the necessary testing equipment to be sure it meets the military’s specifications for each product. Every lot is certified with an official government report. 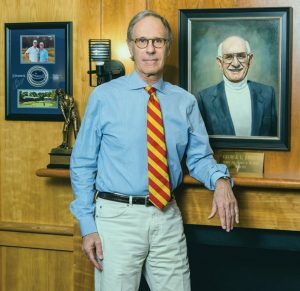 Ken Joblon has been with Brittany Global Technologies his entire career. His father started the company in 1939 after purchasing a screen printing company for $300. Brittany, founded in 1939, is a second-generation family business with a long history in textile printing and dyeing. In the early 2000s, the company — feeling pressure from low-cost imports — began investigating new markets to strengthen its business. The company’s willingness to innovate and diversify rather than stand still, led them to the military business.